Trimmed Raw Duck Meat There are 4 products. 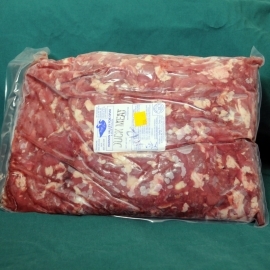 Boneless, skinless Moulard Duck Meat with a net weight of at least 20 pounds. Packed in two single blocks and ships frozen. 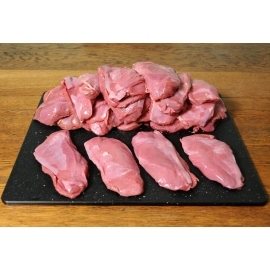 Boneless, skinless Moulard Duck Meat with a net weight of at least 30 pounds. Packed in three single blocks and ships frozen.